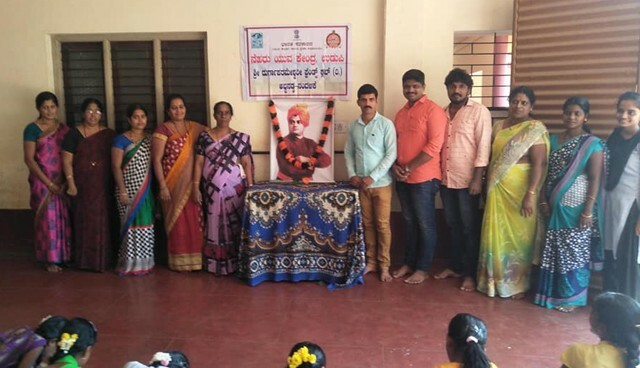 Karkala, 01 Feb: Sri Durgaparameshwari Friends Club® Abbanadka – Nandalike, near here, celebrated National Youth Day and 156th birth anniversary of Swami Vivekananda at Vidyabodini Aided Higher Primary School, Kedinje, here, on Thursday, January 31. Elocution and drawing competitions themed Swami Vivekananda was held and prizes were distributed to the winners. The Club president Rajesh Kotian Nandalike paid floral tributes to the portrait of Swami Vivekananda. 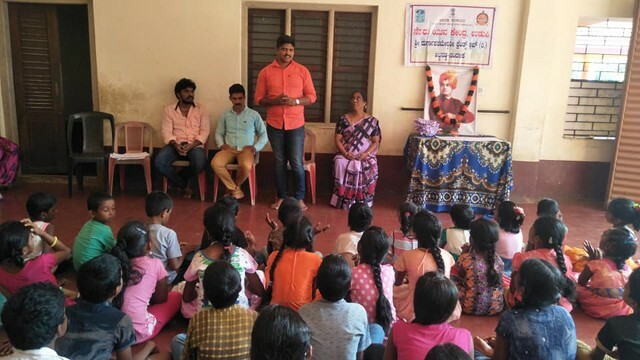 Speaking on the occasion, the Club convener Sandeep Poojary Abbanadka said that Swami Vivekananda is the inspiration to youth to lead meaningful lives. The Club secretary Prashant Poojary, Leela N Poojary, Mamata Prakash, School teacher Rekha Pai, Mamata J, students and others were present.